Internet-famous Doug the Pug is great at making everyone laugh. 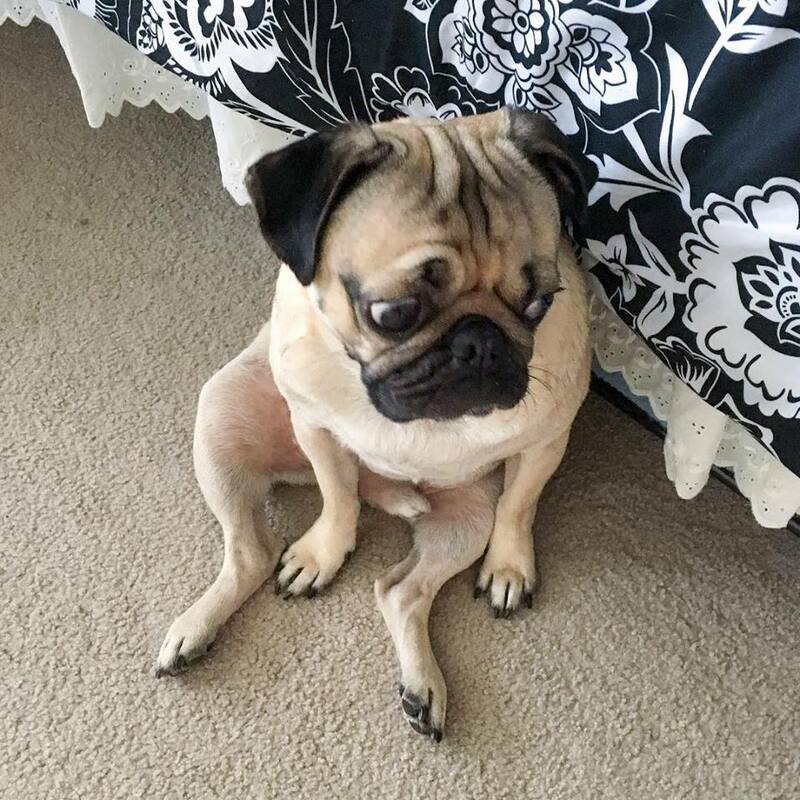 Doug the Pug belongs to Leslie Mosier who quit her job to manage her dog full time. Mosier has had great success not only because her dog is extremely photogenic, but also because she is the queen at managing Doug's social media presence. Doug the Pug makes everyone smile wherever he goes. Here are 11 of those times on Instagram and Facebook to brighten your day! 1. Feeling like a Beached Whale. 3. When you burn your mouth on pizza rolls. 4. Who wants to binge watch Harry Potter? WE DO! That's a silly question. 7. Can't do anything without my morning cup of coffee. I'd gladly kiss that pizza with you, Doug. 9. Where are we headed? 10. But that cake tasted so good. Really, I needed the whole thing. Only if it's a family size bag. Go follow Doug on Facebook here. And don't forget Instagram, here. And go buy some merchandise here, while you're at it!